I can't even put into words how honored and blessed I am to have my boys be a part of the Texas Storm Kenpo Karate family. I have seen such a huge improvement in their everyday life. My sweet boys have been through more than most little boys at their age. My deepest and sincere thanks to Mr.Bill Piper and his family. My Children finally have the positive role models in their lives that they so deserved. It's only up from here. I am blessed being a part of this amazing family. My son has been going to TSK for about 2 months. Our experience has been one positive thing after the next. The entire Piper family is extremely professional, friendly, and helpful (as well as the rest of the instructors who dedicate their own personal time to teaching these kids). My son started here after we started noticing a change in his behavior at school and at home. He started goofing off, mouthing off, and battling every decision we were trying to make at home. Since starting at TSK we have seen him grow into a child who has self control, who is responsible, and respectful. It has helped with his "shyness" aswell as his confidence in class has grown. We are so grateful we saw the 6 week trial, and chose to stay with the program. We love it! My teen daughter has been attending the adult class for over a month now and it has been a wonderful experience! My daughter has gained confidence, strength, and a better sense of awareness of her surroundings. This is a huge part of self defense - being aware. As she progresses in her training at Texas Storm Kenpo, I have complete confidence she will continue to learn life long valuable skills. Bill and Heather are very knowledgeable instructors and everyone is so welcoming and friendly. It feels like family here. If you're looking for an amazing place for your children or yourself, you really won't find any better in the metroplex. Texas Storm Kenpo Karate is a great place for kids to learn important values in life at an early age. Kids learn to give respect to each other, and they also get respect back; you get what you give. Both kids and adults are taught to have confidence in themselves and their abilities; that they can in fact do things that they initially thought they would never be able to do. Texas Storm really does care about the development of people. Texas Storm Kenpo (TSK) has been one of the greatest experiences in my adult life. I would like to start out saying that the Head Instructor, Bill Piper and his staff are amongst the greatest people I have ever had the pleasure of meeting. They are all warm and inviting and always have a positive attitude. They reinforce everything that I taught my son and even go the extra mile to ensure the he is rewarded for doing well. As for the level of training that my son and I receive, WORLD CLASS! I have had the luxury in training in multiple martial arts programs and I am happy to say, that it is an aspiration of mine to obtain a Black Belt in American Kenpo at TSK. Now on to my son, he has always been a respectful child and I really haven't had any problems with him, but...it is like pulling teeth to get him away from the video games; come Kenpo time, his demeanor completely changes and I can't keep up with him out the door. He expresses how much fun he has every day. His self-confidence has sky rocketed, even his gait has changed. He proudly shows his grandfather that he can knockout 50 pushups without stopping, or runs across the yard to show how quick he is. So I will say it again, Texas Storm Kenpo and there faculty is amazing and I am so proud to say I am a member of such an fantastic organization. Thank you TSK for all you have done for my family!! We love Texas Storm Kenpo! Everyone is very helpful and friendly. It's amazing to watch our daughter and the other kids succeed in what they practice! These instructors are helping to build a better future in our kiddos! I can't wait for my 3 year old son to join when he turns 4! He loves watching his big sister in action and she loves coming home and teaching him! I want to take a moment and thank Bill and Heather for the time they have invested in my son. This has been one of the best investments I have ever made when concerning my child. Texas Storm Kenpo focuses of the personal needs which would include education first. They take much pride in their work, but insist the child is doing everything needed in school first in order for them to move up in Kenpo. I love this about them! Since starting Kenpo, my son has increased his grades from barley passing to masters. This has allowed him to focus on Kenpo more of which we have invested much time and money in outside of class. He not only has earned outstanding grades in school, but he is now wearing a purple belt and is at the top of his class. I am very proud of my son, and most of all very thankful for the personal attention he gets through Texas Storm Kenpo to improve not only his character, but attitude towards education. This school is a well-rounded, education first, family centered school that has gone over and beyond for their students. Heather is so good with the small children they just adore her! We left a similar karate school for this one (whom I will not mention), and haven’t regretted the decision one bit. If you are looking to improve your child’s ability to interact with society respectably and give them the opportunity to learn a much respected striking art. Then this is the place to go! From personal experience I can say there is nothing more important to them then the children. When we first joined the classes were very small about 10 kids in both of my kids classes, Lil Dragon and Tigers. My youngest was very shy and very dependent of me. When he didn't see me he would cry but that was back in November 2016. Now he enjoys going to classes every week because he has made so many friends there. It's very rewarding to see him transform and happy. My oldest that is in the Tiger class since joining has become more independent as well. He would make sure he work on the karate moves at home and sometimes Ms. Heather would have papers for them to take home and he would always make sure that those be complete and turn in on time. It is really great to see him balance school work and karate class at the same time. I would recommend TSKK to other family that would like to see their kids transform and become part of the karate family. Mr. Piper is great with the kids and they have so much fun while learning great life skills during karate. My little girl has been attending for over a year now. It has brought out so much in her and she has learned so much. We love this school! The classes are very disciplined and structured to keep our 6 year old busy brained boy on task. We have noticed a huge difference in his behavior both at home and at school. We will definitely be staying! Our kids having been attending this school for a couple weeks and they absolutely love it! The instructors and staff are all extremely patient with my kiddos and always helpful and kind. Definitely a great choice on my husband and I's part choosing Texas Storm Kenpo. Our 4yr daughter has definitely improved her attention span and concentration since joining Tx Storm kenpo. She has set goals for herself and strives on attaining her accomplishments. Tx Storm kenpo's rating system definitely make her achievements rewarding which makes her goal oriented. Something we never expected from a 4yr old. She's made new friends and loves her instructors. I have two kids in the junior program and I can tell you how much they enjoy their classes. It is the highlight of their week. Not only do the kids enjoy the classes, but my daughter who is sweetheart, has gained a good deal of confidence and made some friends in her class. My son who needed some help with personal responsibility has also shown a marked improvement in his attitude. The Pipers are such wonderful people and all of the instructors are so friendly that you feel part of the family when you are in the school. I can not say enough how much we enjoy having our kids in this school. We love this place! We have two children enrolled, one in the Little Dragons program and one in the Tigers program. They both look forward to "karate days" and we are noticing improvements in their self confidence and perseverance. Highly recommend checking them out. Truly passionate about what they do. Warm and welcoming, knowledgeable and professional! A great experience for all members of the family. I learned a lot from the beyond qualified instructors. They are family based and teach you confidence, patience, strength, honor, and skills that can relate to everyday life. They empower you and can teach at any level. You would be missing out to pass up such an experience that will shape your life. My son started here for the after school program. Little did I know what an amazing place this would be. The entire staff truly cares about your children and I am so grateful to have found Texas Storm Kenpo Karate. The skills that they are instilling in my son are second to none. Very family oriented, great team and everyone makes you and your kids comfortable. Texas Storm Kenpo is a great organization. The staff is very nice and helpful. Teaches our kids valuable lessons on respecting yourself and others. I give 5 stars and will definitely invite others to join. I have seen tremendous growth in my son's confidence and skills since starting at Texas Storm Kenpo. Mr. Piper has a program here that not only teaches Karate, but life lessons as well. 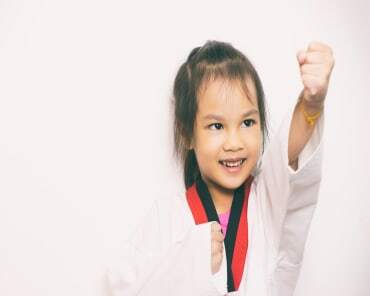 If you are looking for a place for your kids to learn martial arts, Texas Storm Kenpo Karate is it! Quality is a high priority of Texas Storm Kenpo. 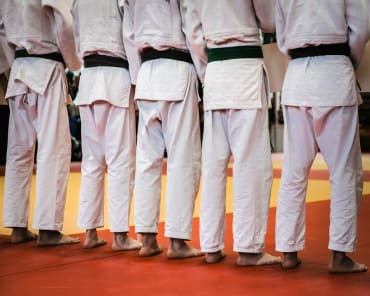 I've studied alongside with many of his students throughout my years and they are well mannered and proficient in the material respective to their belt color. Bill also works hard to break the material down and explain what's going on "behind the scenes". Thus allowing his students to prevale over another schools same belt kenpoist. I highly recommend this school. We're so happy with TSK! They are very patient with the kids and they always take the time to hear about their days. #1 karate school instructors A++, I recommend them. I've had a number of instructors in kenpo and Bill will give you not only the "what and how" but the "why and history" behind it. I enjoy learning from him. If you want the best martial arts instruction, this is the place. I can't rave enough about Bill and his family. Good people through and through. My son loves it! The instructors are awesome and very attentive. Sooo glad I found Texas Storm Kempo Karate. Awesome feeling seeing my child learn and grow, in an environment run by dedicated passionate people. Best martial arts school around if you're interested in quality over belt color. I'm so glad I did this. Good people. I learned a lot. Love this place ..... Ya'll come !! !